Vanuatu is truly a unique part of the world and Vanuatu holidays provide life long memories for thousands of holiday makers each year. The tropical climate, pristine beaches and the timeless pace of the pacific island culture mean that holiday makers in Vanuatu can escape the hustle and bustle of modern western life to a much more peaceful and simpler world. Vanuatu is a perfect holiday destination for so many different reasons, whether you're after a romantic getaway, a fairy tale honeymoon, or even a family holiday adventure filled with both excitement and relaxation. 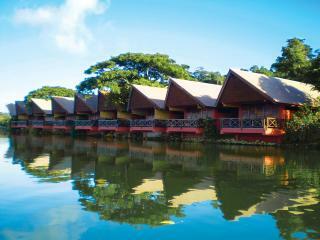 Vanuatu has a holiday experience perfect for you. Holidays in Vanuatu are all about relaxation but if you are feeling energetic there is a huge range of activities to try such as snorkeling, diving, water sports and even golf. But don't forget there are also countless beautiful locations to simply do nothing. Vanuatu holidays often involve staying in world class resorts and hotels, and more and more holiday makers are taking the time to see the surrounding islands and waterways by booking a few nights on a majestic sailing boat or taking a short cruise. Travel Online can help you put together a perfect itinerary including transfers, flights and tours that help make your Vanuatu holiday just perfect. Travel Online has been a major provider of Vanuatu holidays for over 10 years and has assisted thousands of holiday makers put together their ideal Vanuatu holiday plan. Travel Online's team of experienced consultants are happy to assist you with everything you need to make sure your Vanuatu holiday is trouble free and relaxing, but also at the best possible price. Due to our low overheads and long standing relationships in Vanuatu, we are able to pass onto you the cheapest deals on Vanuatu holidays available anywhere. Click here to see our full range of latest special deals. 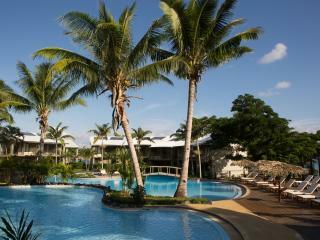 Travel Online also sell holidays to Fiji and the Cook Islands. 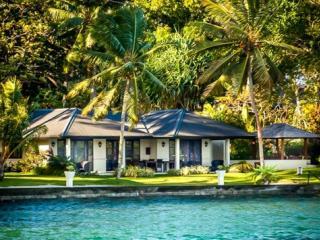 Click these links to research these great destinations Fiji Holidays and Cook Island Holidays.